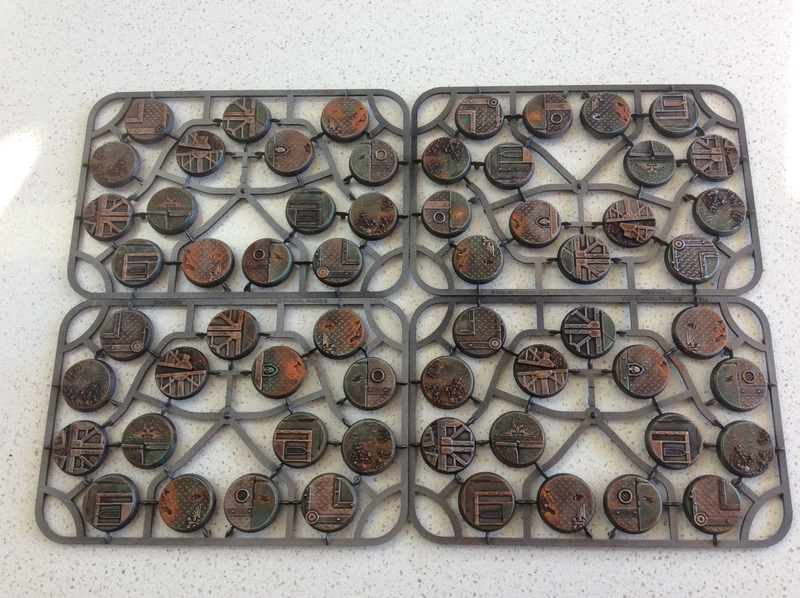 One of the changes that has occurred while I've been away was the emergence of 32mm bases. BITD it was 25mm for infantry, and 25mm then 40mm for terminators. Dreadnoughts had 60mm bases. You turn your back for 8 years and everything changes. 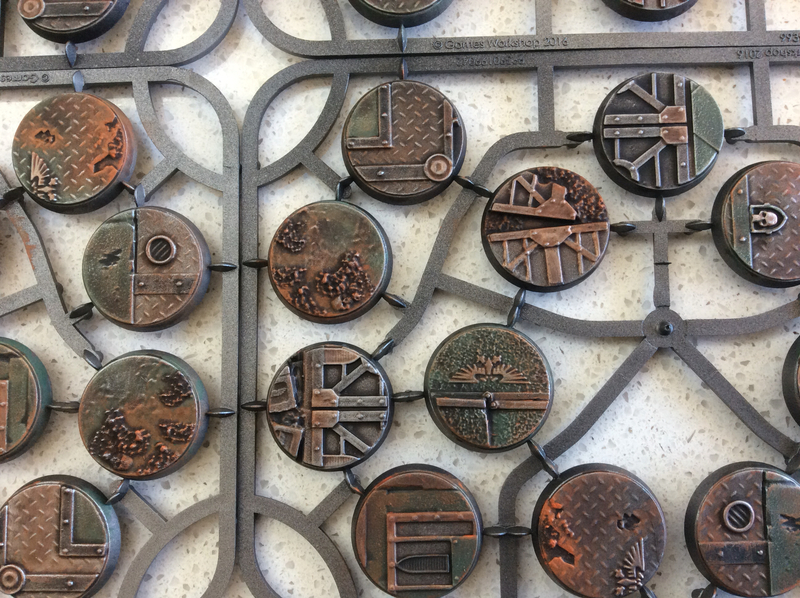 I thought I should rebase my EC onto the new "cool" and so bought a box of the plastic Sector Imperialis Bases from the local GW. This seems quite good value - sixty bases for $65 - perhaps I'm just becoming indurated to their pricing. 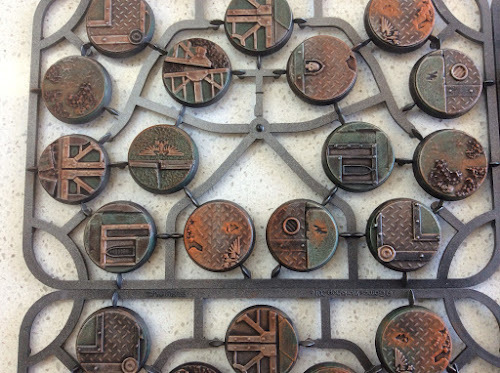 The local GW Manager told be to paint them on the sprue - so that's what I did. I sprayed them black and then "Leadbelcher" and while I watched Liverpool dismantle Middlesbrough I started detailing them up. The process was pretty quite. I built up a green plate - Waagh, Straken, Loren and then a drybrushes of Underhive - followed by some picking out of metal details. This was followed by some Typhus backed up by Rzya Rust and a wash of Lahmian/Agrax/Reikland. Some drybrush of Necron and Rzya finished it off. Now just need to clip them off and paint the rims black. Nice and easy.